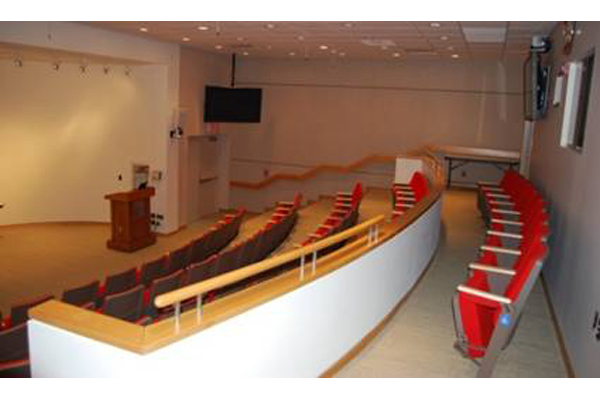 EI Associates recently completed the design of a new senior level Executive Suite and renovations to the existing lecture room. The lecture room renovations consisted of the replacement of 60 auditorium style seats, new carpeting, new maple wall caps, base and rails and new paint finishes. 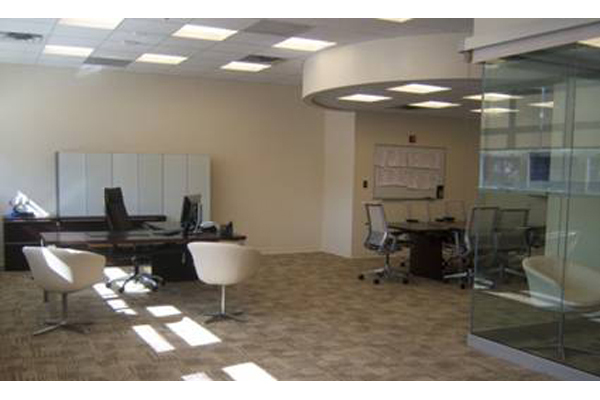 In keeping with former office renovation projects, the new Executive Suite was modeled on a “flexible” office prototype. 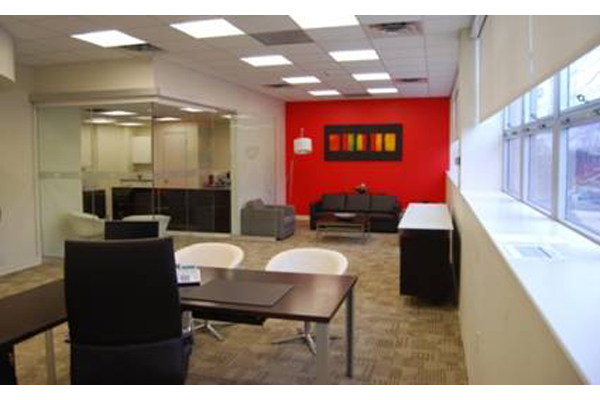 Senior executive offices were designed to be shared in response to travel frequency. 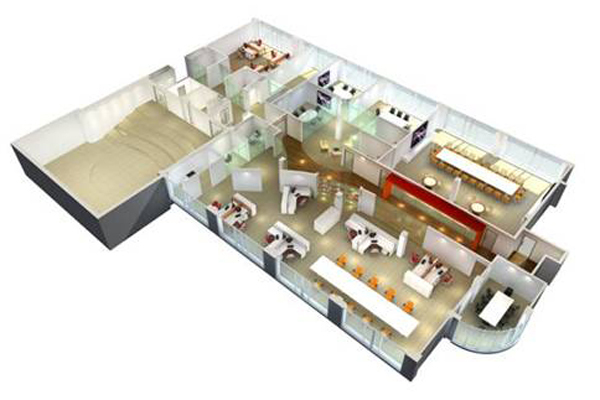 The suite includes a separate reception/admin support area, an informal seating area, desk and conference area. The new office prototype has resulted in reduced employee square footage requirements, a reduction in and a move to more flexible furniture systems and reduced operating costs.